Winning a big live poker tournament is a great accomplishment. Winning multiples puts you in a select group. And then, there are players who are in a league of their own, such as Ole Schemion. On a day that saw a field from 122 whittled down to one in the span of twelve hours, the man from Berlin, Germany reigned supreme for the 17th (!) time in his career. 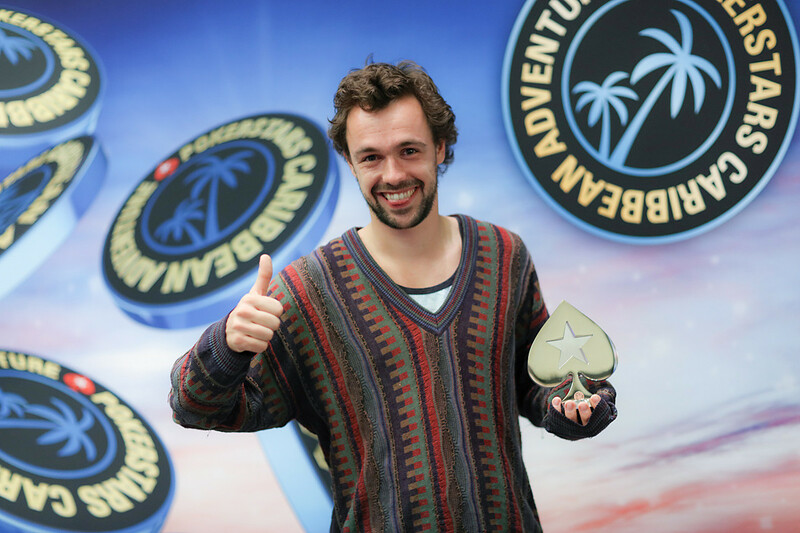 The win in the 2019 PokerStars Caribbean Adventure (PCA) $1,100 National, worth $148,220, also propelled Schemion over the $15M mark in lifetime winnings on The Hendon Mob. Schemion defeated Florida native Maurice Costigan heads-up after Costigan made a costly misstep in the final hand. Platinum Pass winner Dragos Trofimov claimed the bronze medal, online legend Conor "1_conor_b_1" Beresford finished in fifth, WSOP Europe Main Event champion Jack Sinclair finished sixth and EPT13 Malta champion Aliaksei Boika ended up in eight place. Like last year, when he won the WPT in his home town of Berlin, Schemion started another year with a similar bang. He followed up on last year's victory with a successful series in Monaco before taking time off from the live circuit regarding the birth of his second child, which also made him opt out of the 2018 World Series of Poker. Schemion-fans don't need to worry: "wizowizo" is back in full force after making his second six-figure ship in short succession, following up on a second place in the €10,300 EPT Prague High Roller last month. "I feel good, very good," Schemion said shortly after receiving another spadie for his mantlepiece. The final table went smoothly, and despite facing some tough opposition Schemion wasn't singling anyone out. "I didn't really care [about the opponents], I just wanted to play my cards," he told PokerNews. "It's a good start to the year, I had a good finish and start last year too," he grinned. At noon local time, 122 survivors from an 812-player field returned to the Atlantis Resort in the Bahama's for the second and final day of the PCA National. Although the buy-in was one of the lowest on tap, the field was chock-full of big names looking to parlay their investment into a sweet six-figure score. With the bubble gone and everybody already having a mincash secured, chips were flying everywhere right off the bat. A flurry of early bustouts saw the likes of Will Givens, Joe McKeehen, Marvin Rettenmaier, and Jon Turner all hit the rail in quick succession. Defending champion Maria Konnikova's title defence attempt also came to an end in the early stages after losing the majority of her chips to Maria Ho with ace-ten versus queens. Ho wasn't able to make those chips work for her and busted shortly after. Chino Rheem claimed the spotlight during most of the day, even holding the chip lead at various points. Ultimately, the American just missed out on the final table. It was Schemion himself who pulled the trigger with pocket nines against Rheem's ace-ten on the final table bubble. The big flip landed in Schemion's favor and Rheem had to settle for $9,100 as a consolation prize. At the final table, Joe Cote was first player to bow out. The elderly statesman made his first recorded cash outside of the U.S. by finishing in 9th place. Following him out the door was Aliaksei Boika, a former EPT Champion. The Belarusian added $13,900 to his lifetime winnings of over $1.6M. Germany's Timo Kamphues was the third victim at the final table and won $19,780. For Jack Sinclair, there wouldn't be a second victory after his big win at the WSOP Europe three months ago. Sinclair was wrestling with Schemion all day, and the latter was the one to make him tap out. Sinclair met his demise by four-bet shoving ace-queen into Schemion's ace-king to finish in sixth place. 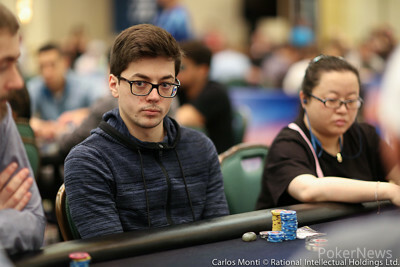 Conor Beresford, Alexandre Santo, and Platinum Pass winner Dragos Trofimov were the three next to go, leaving Maurice Costigan as the only one left to oppose Schemion. Costigan started the heads-up with a 2:1 chip disadvantage and went big during the first sizable hand of the heads-up to turn things around. Holding ace-eight, Costigan check-raised on the turn when an ace fell, then shoved all in on the seven river for heaps. Schemion had ace-seven and called to win his 17th career title. That's it for PokerNews coverage of the $1,100 PCA National at the Atlantis Resort in the Bahama's. On Friday, coverage will resume with the final day of the $100,000 Super High Roller, the $100,000 Single-Day High Roller and the Main Event. Make sure to check back regularly to not miss out on any updates of the 2019 PCA! Ole Schemion limped in on the button, Maurice Costigan raised to 510,000 and Schemion called. The flop came and both players checked. On the turn, Costigan checked, Schemion bet 410,000, Costigan check-raised to 1,000,000, and Schemion called. The river brought the and without hesitation, Costigan shoved all in for 3,700,000. The large shove briefly confused Schemion, but he called it off regardless after just a few seconds. Schemion had rivered two pair to end Costigan's run on the spot. Costigan shook Schemion's hand in defeat and headed off to collect the second place prize of $90,080. Ole Schemion called on the button and Maurice Costigan opted to check. The flop came , Costigan bet 300,000 and Schemion called. Costigan bet another 400,000 on the on the turn which Schemion called. The river completed the board with the , Costigan now decided to check and Schemion barreled a bet of 840,000 over the line. Costigan asked how much it was for, considered it for about ten seconds before folding. After trading small pots back and forth with Ole Schemion winning the majority of it, it was Maurice Costigan who would be the first to entice bigger action heads-up. On an flop, Costigan bet 400,000 and Schemion check-called. The turn was the and Schemion check-called a second barrel worth 700,000. The river brought the and Schemion instantly check-folded to a third barrel worth 1,000,000. Dragos Trofimov raised to 250,000 from the button and Ole Schemion three-bet to 1,020,000 in the big blind. Trofimov shoved and Schemion snap-called. The board ran out for Schemion to hold with the higher pocket pair to eliminate the Platinum Pass winner in third place for $63,540. The two remaining players have gone for a short break as the current level has just ended. Maurice Costigan raised to 275,000 from under the gun and Ole Schemion called on the button. Alexandre Santo three-bet shoved 1,380,000 from the big blind, Costigan folded, and Schemion reluctantly called. The Brazilian fans gathered and were seemingly content with the showdown, but the flop gave them quite the scare. Schemion stood up and pointed his index fingers skywards as if he anticipated a favorable runout. The on the turn was safe for Santo but the on the river completed Schemion's straight. Mimicking the PokerStars Players Championship logo, Schemion celebrated with both fists firmly in the air. It was all in good faith, given the positive vibe at the table and around it. Santo shook everyone's hand before making his way to the exit. Alexandre Santo raised to 240,000 from under the gun and Ole Schemion three-bet to 900,000 in the small blind. Dragos Trofimov glances at Schemion and Santo and decided to shove. Santo snap-folded and Schemion asked for a count. Trofimov confirmed he had 3,940,000 in total. Schemion took some time to consider all his options and then decided to let it go. Ole Schemion raised to 275,000 first to act and Maurice Costigan defended his big blind. On the flop, Costigan check-called a bet of 240,000. The turn was the and Costigan checked. Schemion bet 560,000, and the American responded by check-raising all in for 2,050,000. Schemion moved his hand to his forehead, exhaled deeply, then called it off after ten or so seconds. Costigan had caught two pair on the turn and secured the massive double-up after the landed on the river. Who Will Win the $1,100 PCA National Tonight?